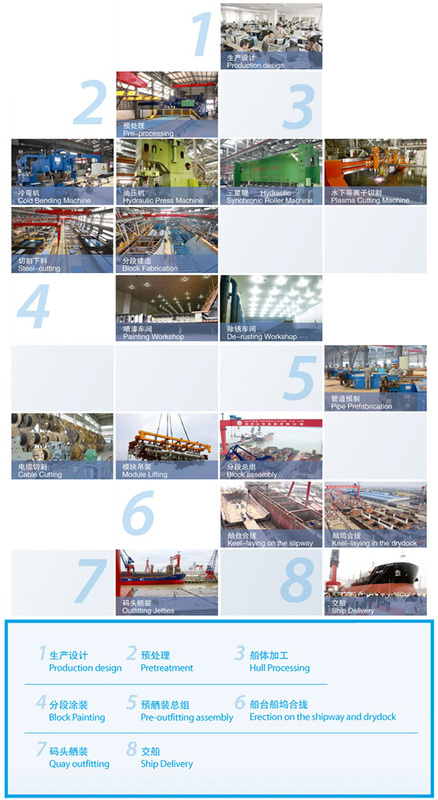 Yangzhou Dayang Shipbuilding Co., Ltd. (“Dayang Shipyard”), is the largest shipyard in Sinopacific Shipbuilding Group and a National First Class I Level steel shipyard. Established in 2003, DayangShipyard’s major products include bulk carriers, container vessels, offshore supply vessels and LPG carriers. The company’s annual production capacity reaches 2 million deadweight tons and delivery of more than fifty vessels. Its annual revenues exceed 10 billion RMB. Considered one of the most efficient shipyards in China, Dayang Shipyard employs over 10,000 staff in Yangzhou, Jiangsu province. Beginning in the late 1990s, China’s shipbuilding industry experienced a 10-year boom. However, the 2008 financial crisis hit many shipyards quite hard, and some are still in the process of recovering from that crisis. Dayang Shipyard, like other shipyards across China, faced great challenges following the 2008 financial crisis: fewer orders in queue and ever-increasing costs. Determined to succeed despite the challenges caused by the crisis, the company’s leadership established a strategic goal to reduce cost and enhance performance. As part of this strategic goal, every department within the company was challenged to identify all possible ways to reduce costs and upgrade performance. Dayang Shipyard’s 180-employee Equipment and Power Department embraced this challenge, determined to improve equipment reliability and reduce maintenance costs, especially with respect to spare parts. 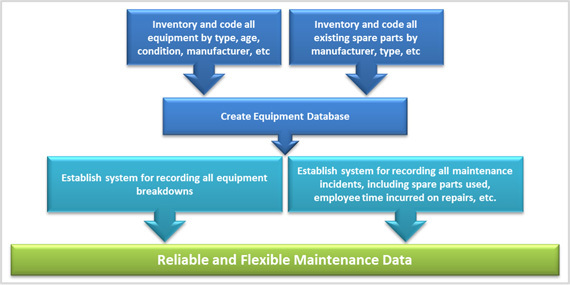 • Unreliable equipment data: Maintenance data was often incomplete or inaccurate. For example, there was no reliable way to track the reliability of equipment, much less the cause of any breakdown in such parts. Additionally, tracking spare parts usage – what was used when, where, and why – was virtually impossible with the existing information. • Unreliable employee efficiency data: Employee efficiency data was equally problematic. For example, there was no reliable way to determine how long employees spent on troubleshooting or on preventive maintenance, which in turn made it very difficult to manage labor costs. • Inflexible data compilation: The limited data that did exist was maintained in traditional, inflexible format – either paper or excel formats. Maintaining data in this format prevented the company from efficiently using the information to improve their processes. • Lack of decision-making reports: In light of both the unreliability and inflexibility of existing data, there was no effective way to generate key reports needed for strategic decision-making. In short, without reliable and flexible data, the department was unable to determine effectively what needed improvement and how to implement any such improvements. Those key challenges were never previously identified and addressed when business was at its peak. Recognizing the need for professional expertise to reach their goals, Dayang Shipyard’s Equipment and Power Department turned to Siveco China to assist them in this endeavor. Siveco China, the largest maintenance consulting firm in China, was considered the logical choice for this project: With substantial experience of “maintenance with Chinese characteristics”, Siveco has developed a unique approach to address the needs of companies like Dayang Shipyard by leveraging technological tools to implement rapid and sustainable performance improvement and cost reduction initiatives. Two Siveco consultants worked with Mr. Mao, Director of the Equipment and Power Department and Mr. Sheng, Project Manager and their team on this project. The kick-off meeting was held in January 2011, and a new management system was in place just three months later, in March 2011. Given that the four key challenges in meeting the strategic goal of decreased cost and enhanced performance revolved around problems with data, the project team recognized immediately that the first priority was to ensure all necessary data was collected, and that the data was managed in a flexible and sustainable platform. Generating historical data on the many pieces of equipment, including equipment acquired from the company’s previous owner, was challenging and sometimes impossible. However, the team worked to compile as much reliable historical data as possible, and established a clear process for compiling data on a going forward basis. To support this data collection process, Siveco worked with Dayang Shipyard to implement a Computerized Maintenance Management System (CMMS), with a focus on compiling equipment and technical data and systematically recording all breakdown incidents and maintenance events. While some companies might consider CMMS installation to be an “IT project,” the Dayang Shipyard project team recognized that the system needed to be “owned” by the Equipment and Power Department rather than IT. The CMMS implementation was managed by Siveco’s maintenance experts, as a tool to address the industrial improvement needs of the shipyard. Developing a system to ensure collection of reliable and flexible data was the first and most important step in establishing an effective maintenance management system – but it is just the first step. The second step was to establish a system enabling effective decision-making based on the data. After installation of the CMMS, Siveco consultants worked with Dayang Shipyard’s team to determine what types of KPI (Key Performance Indicator) reports would best help the company identify areas needing improvement and, thereafter, ensure effective maintenance management on a sustained basis. 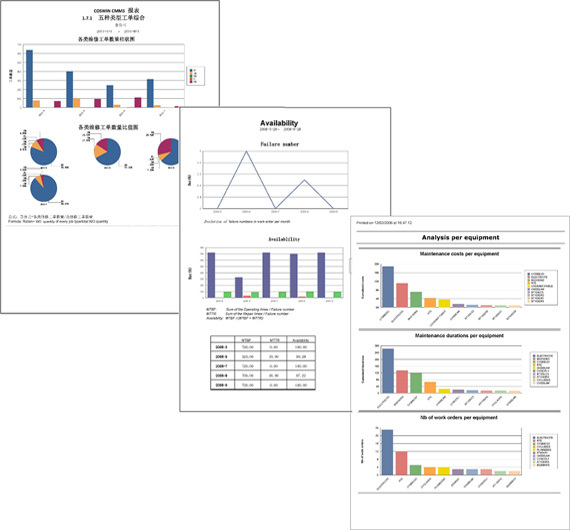 Siveco made use of the existing reports library (over 100 easy-to-use graphical reports) based on the EN 15341 standard on “Maintenance, Maintenance Key Performance Indicators”. This approach cuts down the time spent on discussing performance measures, by providing a recognized reference. Reports development time in the CMMS is also shortened, as users can pick and chose from existing KPIs. Finally, this approach allows managers to explore new, previously unknown, ways to analyze their maintenance activity, simply by browsing the available KPIs. Siveco is proud to partner with Dayang Shipyard as it strives to achieve its strategic goals fully, and as it continues to develop leadership role in the shipbuilding industry.